Food trading was probably one of the earliest commercial activities recorded in human history. But while the food industry is by no means new, in today’s tough market conditions, your business requires no less than state-of-the-art technology to remain competitive. Powered by cloud computing, and driven by Big Data principles, Lokad delivers an inventory forecasting technology that is uniquely geared to address the specificities of fresh food inventory optimization. With Lokad, your company will increase its quality of service not merely by reducing the amount of stock-outs, but also by compressing the stock levels, which ensures that even fresher products are distributed to your clients. When dealing with fresh food, there are typically many different product references and locations that need to be taken care of. This implies deciding how much inventory should be ordered or shipped every single day, anticipating the future demand as accurately as possible, as well as factoring in all the relevant business drivers to come up with the most profitable decisions. Lokad has developed a state-of-the-art forecasting technology that takes into account all the relevant demand patterns and the challenges associated with them: common cyclicities (seasonality, days of the week, days of the month), growth, product lifecycle, and so on. 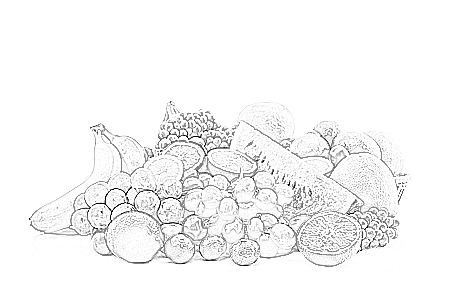 Going beyond purely predictive analysis, we also manage in-depth all the specificities associated with fresh food. For example, for Lokad, stock is not merely a stock-on-hand quantity: assuming that data is available, we can also take into account the exact composition and product characteristics of your inventory, where each unit has its own unique shelf life. Through this analysis, Lokad accurately accesses the probability of the inventory that will have to be “scrapped” and adjusts the suggested quantities to be re-ordered in consequence. Our goal is not to minimize the percentage of error, but the dollars of error. Lokad delivers optimized re-order quantities or shipping quantities that take into account all supply chain constraints inherent in fresh food, such as truck capacity and transportation costs, storage volume limitations, loss of weight over time, daily loss of market value as well as ordering and delivery schedules. Our service package can be tailored for a full end-to-end service that integrates all of your business drivers and business constraints into the solution. Classic inventory optimization solutions relying on classic forecasting methods work poorly for fresh food. Indeed, while the number SKUs may not be as great as in other verticals, forecasts need to be refreshed every day with absolute reliability. While classic forecasting solutions require a lot of “fine-tuning” to get the forecasts right, Lokad puts an emphasis on end-to-end automation with zero fine-tuning as far as statistical forecasts are concerned. This is possible thanks to our forecasting technology that leverages cloud computing to perform advanced correlations that are used to achieve complete automation. In addition, forecasts delivered by Lokad are not just more accurate, they are also more fundamentally aligned with the business requirements of the fresh food industry. Competing solutions deliver average or median forecasts, or in other words forecasts that have a 50% chance to be above or below future demand. But fresh food producers and distributors do not seek “average” service levels. Rather, they seek outstanding service levels, typically well above 95%. In order to deliver such high service levels Lokad computes what is called the quantile grids, that is the complete probability distributions for (nearly) all levels of future demand. By putting a probability on every possible future value, Lokad can prioritize and pinpoint the top decisions that maximize the returns for every $1 invested in inventory. The calculations involved in this process are tremendous, but once again, with cloud computing, Lokad can carry out these calculations at prices that are affordable even to thin-margin businesses. Also, Lokad does not make “naïve” assumptions about inventory such as treating a stock level as if each unit in stock was at the same level as the next one. Product freshness is key, and every single day the inventory that is kept in storage is causing a steady loss in the market value of the merchandise. Classic solutions typically make naïve assumptions about stock, either ignoring the concept of shelf-life, or anticipating the levels of spoilage by treating the daily forecasting quantities as if they were exact (hint: they are not). Instead, Lokad computes the exact probability of each unit to be “scrapped”, and consequently reprioritizes the replenishment to make sure that clients keep being served with the highest service levels possible. Lokad is not intended as a replacement for your existing inventory management or ordering system. Lokad simply delivers the numbers that will drive the optimal inventory allocation decisions in your company. And these numbers can be automatically re-imported to your existing systems via an automated flat file transfer. As Lokad represents only a thin layer on top of your existing processes, getting set-up with our solution is only a matter of a few weeks once your data is made available to us. A Lokad set-up usually involves flat files being uploaded to us on a daily basis at the very end of the day. These files typically contain the sales history, the purchase order history, the list of SKUs to be processed, and possibly a couple of other datasets deemed relevant for addressing your issues in depth. For example, for distribution centers serving stores, we frequently use store-center mappings to take into account the fact that stores might change of distribution center over time. Also, every time your “fresh” data is made available to us, all calculations are executed automatically delivering results in less than 60 minutes, no matter how much data is involved (possibly up to several thousands of stores for a large food retail network…) The outputs generated by Lokad can be made available as Excel sheets or flat files depending on the degree of automation sought by our clients. KPIs that are jointly defined with each individual client are also implemented into the solution to ensure an ongoing monitoring of inventory performance delivered by Lokad.